Our Bulldog Mascot stress ball is ready for some action! You can custom imprint a bulldog mascot stress reliever with a team name/logo or a clever slogan. 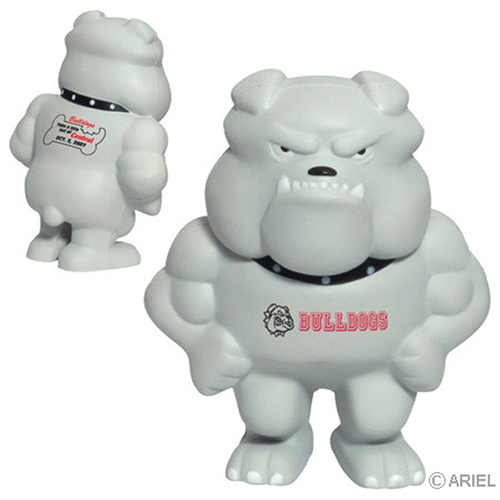 These bulldog mascot stress balls are great promotions for fundraisers, rallies, school games or any school event. Item Size : 3-1/2" x 4-1/2" x 2"